Career Peer Educators (CPEs) are full-time undergraduates who serve as a bridge between the Career Center and students. They support the UVA Career Center mission by expanding the Career Center's ability to reach students through staffing office hours, giving outreach workshops, and supporting career community programs. CPEs strive to empower students to feel confident in their career development by equipping them with personalized resources and sharing relevant peer experiences. Office Hours: CPEs can be found assisting with resume reviews, cover letters, and general tips in during walk-in office hours. They are also there to provide guidance and support about Career Center resources and answer general questions or concerns from a peer's perspective. Outreach & Workshops: CPEs help plan, advertise, and deliver career skill workshops affiliated with the Career Center, such as Resume & Cover Letters, Acing the Interview, and How To Navigate a Career Fair. Student groups and instructors are able to request these various presentations to be presented solely for their groups as well, resulting in CPEs being able to reach a wide variety of organizations and audiences on Grounds. Interested? Get started by filling out a Program Request Form. Career Center Support: CPEs have the unique opportunity to work alongside UVA Career Center staff and counselors to help contribute to our Career Communities. CPEs can also be found staffing various Career Center events that take place throughout the year. Served ~500 students per semester, resulting in almost ~17% of all drop-in appointments. Delivered ~20 workshops per semester, with participants overwhelmingly agreeing that they have a better understanding of the workshop’s information and are prepared to take further action. 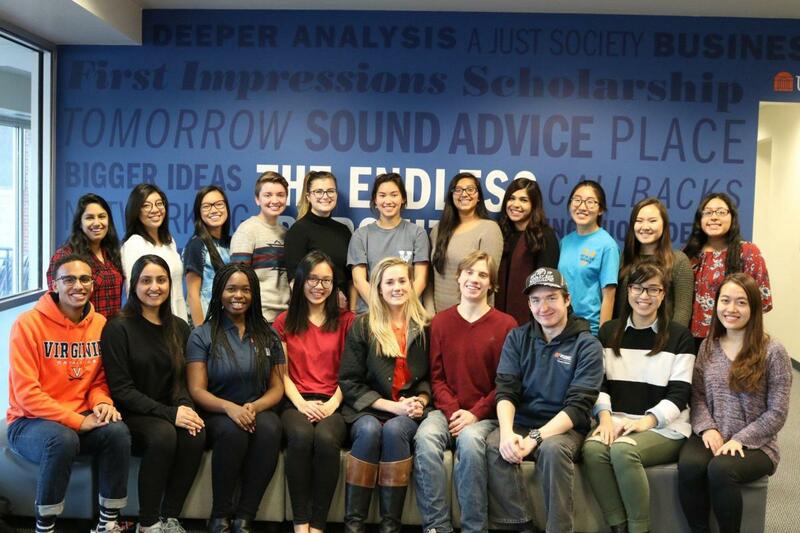 CPEs have contributed substantially to not only face-to-face interaction with students, but also a large variety of Career Center projects and initiatives, with some even having designed their own programming and event ideas. They're here to make a difference in how we connect with the greater UVA student body. Find them at walk-in office hours or request a program from them today.